Liz Fredette – Associate Artistic Director, Director, Choreographer – has been involved in theatre, in some way or another, since 1986 when she had the leading role in her 1st grade play. Twenty-plus years later, she’s still here! Liz attended Sarah Lawrence College where she earned both a Bachelor of Arts and a Masters in Education, with a focus on theatre education and acting. 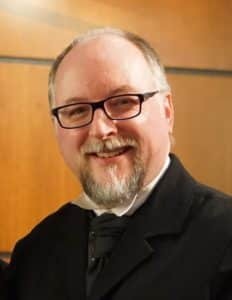 Liz has been working with John and MacGuffin since 2003, where she has functioned as: Director; Assistant Director; Choreographer; Stage Manager; Costume, Set, and Props Designer; and Instructor. She is the resident choreographer for MacGuffin’s cabaret troupe The Singin’ Bohemians and co-director of The Mechanicals Acting Troupe. She has directed and choreographed shows at many schools in Philadelphia and the surrounding areas, including: The Philadelphia School, Germantown Friends School, Chester Arthur Elementary, and Greenfield Elementary School. Liz is the founder and director of Poolside Players, a summer drama program, at the Lombard Swim Club where she has worked in some capacity since she was 16 years old. Over the years, she has worked with several theatres and theatre outreach programs in Philadelphia and New York, including Arden Theatre Company and Lunchbox Theatre Outreach (2003 Arts Award, Education for Outreach Theatre Program; 2003 Sarah Lawrence College Community Service Award). When she’s not working with kids in a theatre she can usually be found near a pool–lifeguarding or teaching kids to swim. Next up? Directing MacGuffin’s Spring production of Hamlet. 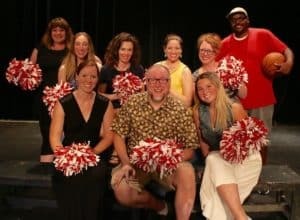 Jen Jaynes – Director and Comedy Instructor – is a graduate from Kutztown University (2007) with a bachelor’s degree in Vocal Music Performance and an MA in Theatre from Villanova University. 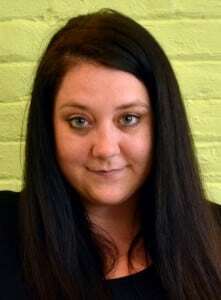 Following her undergraduate studies, she apprenticed with Touchstone Theatre in Bethlehem, PA. There she studied clown, Le Coque, and creating original ensemble works. For the past five years, Jen has performed for Without a Cue Productions, an interactive murder mystery company and Family Stages, a traveling children’s theatre company. In 2009 she helped to start up High Dramma, Fishtown’s premier sketch comedy group, for which she still actively writes and performs. At MacGuffin she has directed Wicked, Legally Blonde, Annie and High School Musical. She also directs MacGuffin’s comedy improv troupe, This Side Up. Emma Ditnes – Artistic & Administrative Assistant, Instructor, Co-director of The Mechanicals – holds a BFA in acting and an M. Ed. in Early Childhood with a certificate in Infant Toddler Mental Health from Arcadia University. 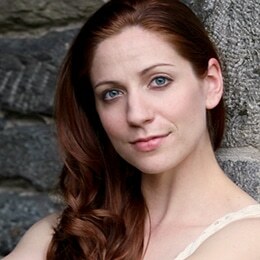 Favorite roles have included: Titania/Hippolyta (A Midsummer Night’s Dream) and Nurse Kelly (Harvey). She was an Irene Ryan Acting Scholarship nominee for her performances as Adela in The House of Bernarda Alba and Mary Baltimore in On the Verge. Emma’s relationship with MacGuffin began in 2009 as a student. She officially moved to the “other side of the table” in the summer of 2012. 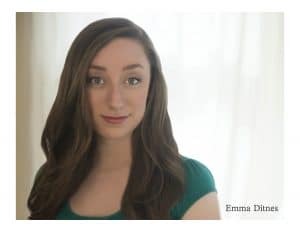 In addition to instruction, Emma’s roles at MacGuffin have included: assistant director, assistant choreographer, stage manager, makeup designer, and text/acting coach. When she’s not at MacGuffin, she can be found working with children in other various capacities, spending time with her two cats, or in her kitchen! Next up: assisting Liz on Hamlet. L-R Liz Fredette, Emma Ditnes, Emily Ballentine Erb, Joy Orlemann, John Rea, Jen Jaynes, Jessica Boyle (intern), Tina Lynch and Mwazhuwa Kuretu.